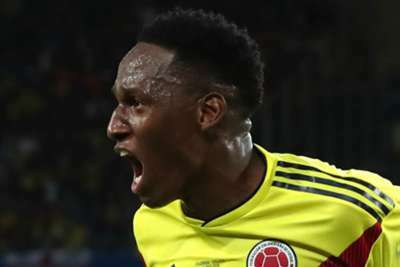 Everton director of football Marcel Brands has revealed that he feared missing out on signing Yerry Mina after the defender scored for Colombia against England at the World Cup. Brands watched England's penalty shoot-out victory over the South Americans with Everton directors Farhad Moshiri and Bill Kenwright, as well as head coach Marco Silva, and said the centre-back's stoppage time equaliser could have scuppered the deal to bring Mina to Goodison Park. Mina eventually joined the Toffees for an initial €30.25m, plus potentially another €1.5m in variables, bringing to an end an unhappy six-month spell at Barcelona, but Brands revealed he initially wanted to sign Clement Lenglet, who moved to Camp Nou from Sevilla. Brands told the Liverpool Echo: "From the beginning we had Mina on our list and Lenglet on our list but he went to Barcelona quite early in the market so it was quite simple for us: go for Mina. | We can confirm Yerry Mina and Andre Gomes have joined the Blues from @FCBarcelona! "Because that makes it more difficult for us and especially as it came against England, so that was double s***. "You go through those kind of things in the market, it's like it is. "You saw in Barcelona, they were expecting bigger offers for Mina in the last days of the Premier League window, that is why they waited. "Then it is a little bit of a gamble. I could maybe have had Mina earlier but then would have to pay £5m more and I didn't want to spend anymore money, so that is always a little bit of a gamble and that makes it a little bit tricky and a little bit difficult." Meanwhile, Everton have allowed 20-year-old forward Nikola Vlasic to join CSKA Moscow in the Russian Premier League on a season-long loan. 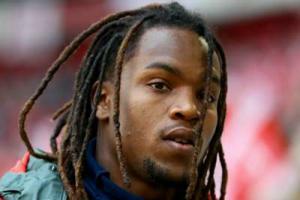 The Croatia international started just seven Premier League games last season, following his arrival from Hadjuk Split in August 2017.